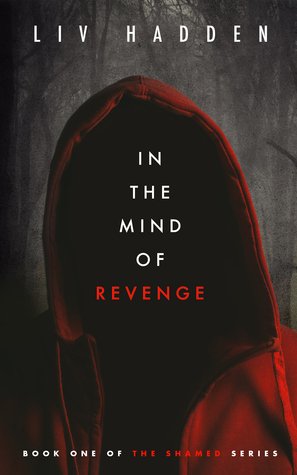 In the Mind of Revenge, book one of The Shamed Series, takes a deep look at how monsters are born. Set in a society that glorifies “normal” and demonizes different, this dark tale takes its readers on an emotionally wild ride of vengeance, murder, pain and desperation. Though the reader is warned by its main character, Shame, not to develop an attachment, the first person narrative combined with Shame’s uninhibited vulnerability makes it nearly impossible not to do so. Raw, vivid, honest, fast-paced and beautifully vulgar, In the Mind of Revenge is sure to have you emotionally twisted from beginning to end. Mine is a tale of pain, hate, lies, murder, injustice, vengeance, and love unreturned. It began much like yours; a hopeful innocent born to a world of endless possibilities. But my journey has rarely been paved with opportunities of light. Confronted by those who sought to eclipse what light I had found, the darkness came for me. Wrapped in its intoxicating embrace, I have risen from the dead to reclaim my dignity and the life that was taken from me. I have begun my journey into the mind of revenge. Revenge for me. Revenge for those like me. Those who are shamed. This is a story for the shamed, by the shamed. The question is, are you ready for it? Author. Creator. Adventurer. Human. In that order. 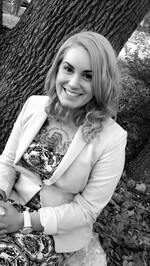 Debut novelist Liv Hadden has been writing ever since she was a little girl. But, it wasn't until 5th grade when her teacher said she'd one day write a book that she started taking it seriously. Her Shamed series began in college, when Hadden employed her writing as an outlet for her feelings during a serious bout of depression. After a brief, yet impactful first night of writing, she dreamt of a shadowy figure, tormented and demonized by their own mind and realized this was the shadow of pain that hurting people everywhere felt. She woke from her dream feeling more energized than she had in months, picked up her computer and began to write. "I felt if ever there was a story inside me and a character worth taking the leap, it was Shame and this story" says Hadden. "This one in particular is personal in nature, and perhaps the very reason it's so close to my heart." Incredibly inspired by artistic expression, Hadden immerses herself in creative endeavors on a daily basis. She finds great joy in getting lost in writing and seeing others fully express themselves through their greatest artistic passions, like music, body art, dance and photography. "I get chills when I have the great privilege of seeing someone express their authentic selves," says Hadden. "I believe it gives us a true glimpse into the souls of others. Hailing from the land of Ben & Jerry's, Hadden has since settled in Austin, TX with her partner and two dogs, Madison and Samuel. After an accumulation of years being treated like a freak because of his androgynity (yes society is judging everyone, lesson one), one big act of horrific violation finally leads to the big rupture of life as he knows it. I say he but the main character’s gender is left open throughout the entire book and in my mind he feels male. But just how unique is that? What a brilliant move! When asked for his name, he tells people it’s Shame because after all these years this is who he is, he even wears it with proud embroidered on his vest. Shame was certainly an interesting character and although we are warned by Shame several times not to sympathize and not see him as a victim, it is exactly what I did. Shame is out for revenge but before he knows it, even more and bigger trouble comes looking for him. In his search for his youth friend Cassie, Shame made a victim, although he can’t help it. I kind of forgave him, again, for his acts of violence. Someone sprung on him, what is he to do right? But his actions have unforeseen consequences. He suddenly finds himself tied into a gang war between the Chinese on one side and a certain Big D and his goonies on the other. But it’s not all doom and gloom, he also meets the utterly positive JB, the kind Margaret who really sees him and who he loves to be with, and the tattoo-artist Shadow who can see what colour his soul is. Did you know that most people have two colours, where one morphs into the other as we go from childhood into adulthood? Those little ‘fun facts’ make the book all the more interesting. Anyway, the inevitable fall of him originates from a feeling of responsibility and caring for someone else. It has a cliffhanger ending that really makes you want to start on the sequel right away. I have an inkling who Big D is also, another thing that we can speculate on, but could be wrong. I can definitely recommend this novel to just about everyone because it is just so different and original, never have I read a story through the eyes of a victim like this one. It is beautifully narrated and makes you contemplate about people you know in real life that could be Shame. I think everyone should get to know this Shame, although he thinks he’s ugly and wants to embrace this ugliness, he remains very likable, and I'm very curious to know what his feelings and thoughts will be in the sequel. I'm very honored that I got the opportunity to read and review this novel from Liv who's also a fellow reviewer from Jennifer's review team!